We will continue today with another interview of a prayer journaler who will share their story with us today. 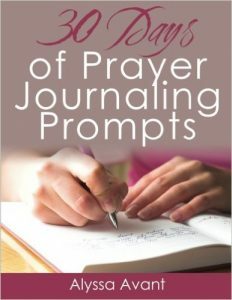 Today is Day 17 of the 30 Days of Prayer Journaling Prompts series. You can find a summary of all the posts on this page. Today’s prayer journaler is Cattie Price. 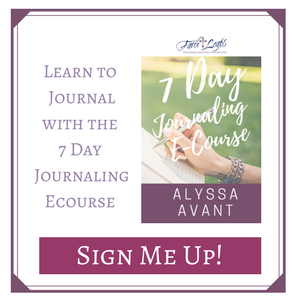 She shares with us how writing in a prayer journal can be freeing. 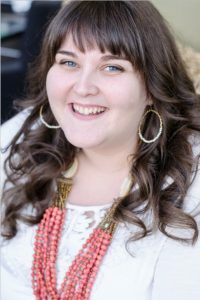 Cattie Price is a writer and speaker with a passion for social justice and waking others to God’s scandalous love for humanity. When did you begin using a prayer journal? I have been journaling in one form or another since I can remember – probably since I learned to write! My mom still has an entire bookcase full of my journals from elementary school through high school. I don’t usually separate my prayers into a separate journal, but the ones from middle school onward are mostly prayers. How long have you been a prayer journaler? I met Jesus around middle school, so my journaling became more about pouring out my heart to God around then. In high school, our relationship grew deeper and so did my prayers. My journals have been like a conversation back and forth between us. It has been a blessing to be able to keep track of answered prayers and just thoughts and feelings I’ve had along the journey – whether positive or negative. What is your favorite thing about prayer journaling? There is something powerful about pouring out your heart and authentic feelings before the Lord, even if it’s not always pretty. Sometimes my prayers have been thankful, sometimes angry, sometimes hopeful, sometimes heartbroken. What they have always been is honest. It helps to get out things on paper that nobody is going to see but me and Jesus. 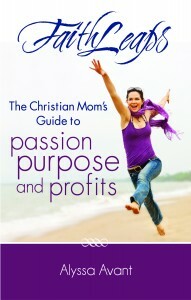 It has been so valuable to have a record of my inner life with Christ to look back on. I can see the places in my life in which He carried me through things, see where He was so close even when I felt abandoned and lost. That has probably been the most precious thing to me about writing out my prayers. 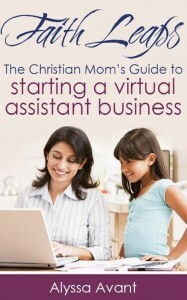 What advice would you give to someone who wants to begin using a prayer journal but doesn’t know where to start? I would say that if you’re waiting to start until you have better handwriting/art skills and can make it perfect, don’t! It will be perfect if it is honest and authentic. All He wants is your heart – it doesn’t have to be dressed up nice. One of my favorite journals to use is a mini Moleskine because it fits in my bag, but I used to use a plain old 10 cent spiral notebook. It looked ratty on the outside from being shoved into my backpack eleventy thousand times, but it was beautiful to Jesus because it was how I prayed without ceasing. Or try the notepad app on your phone or computer, if that works better for you. It doesn’t matter to God. What matters to Him is that you want to spend time with Him, whispering to Him your innermost thoughts and hopes, drinking in His presence, and listening to His voice. Maybe just start by telling Him about your day! It’s okay to start with the easy stuff. 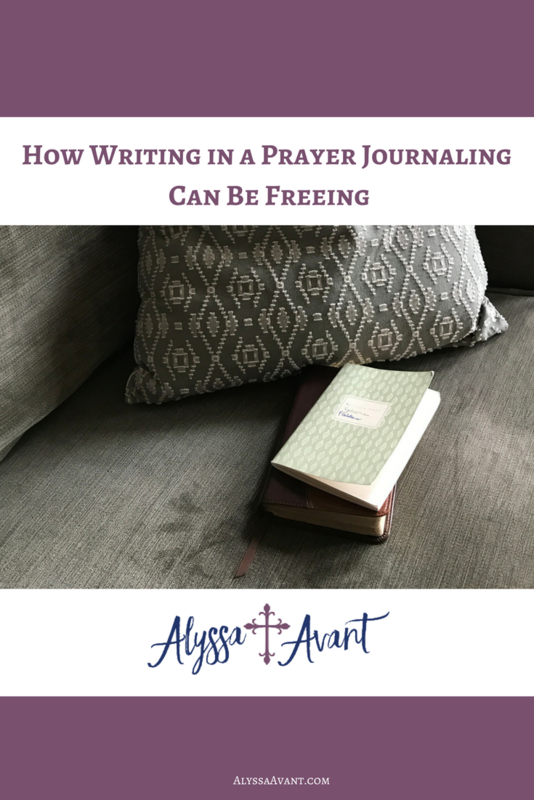 As you grow comfortable with writing out your prayers, you might find that the deeper things will come out organically, and that’s when journaling your prayers can become really freeing. When something heavy is weighing on you and you sit down and put it in writing, something powerful happens and it becomes easier to leave it in His hands. My advice: just start. Start anywhere, and see what He will do with it. I think you might be surprised at how He will kindly and mightily move in your prayer life. Today’s Prayer Journaling Prompt: Write about your most treasured possession. Describe it and maybe tell about how you obtained it. What makes it important and what lengths would you go to in order to keep it? 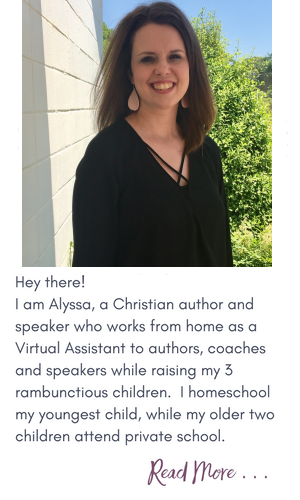 It was so great chatting with you about prayer journaling, Alyssa! Thank you for having me!